I get a lot of email from readers for which I’m very grateful, but every once in awhile I get an email like the one below, which reminds me of why I write books. Thank you Rebecca! I’ve never written to an author before, but your books have made such an impression with me that I feel obligated to thank you personally (or as personally as an email can be). 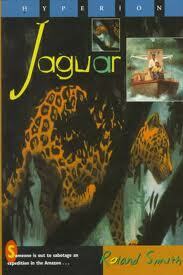 I first read your book Jaguar when I was in elementary school and it has been a favorite ever since. Growing up I was always told that I should be a veterinarian, because I like animals so much. I never wanted to be a vet, but it seemed that like was the only job available for “animal lovers” But your books were the first window into an entirely different world, where there were biologists and botanists and researchers and a whole plethora of jobs where I could pursue my love of animals. I am happy to say that I am now 22 and will graduate in May with a degree in Wildlife Science. Furthermore, I have been accepted into Virginia Tech’s College of Natural Resources and the Environment to pursue a Masters Degree in Wildlife Science. Your books are the reason I am here today, and I am incredibly grateful. 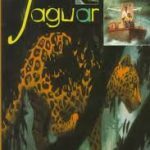 I still have my beloved, dog-eared copy of Jaguar on my shelf and I will cherish it forever. Thank you for inspiring me and please continue to inspire others with your works. P.S. My current area of study is working with Jaguar tracking project in Belize, and while my Master\’s will focus on Red Wolves, Jaguars will always have a special place in my heart. I loved that book! Not to mention the jaguar is my favorite animal. Hey she seems to love the book so I was wondering what this book is it about? I also wanted to tell you how much I love the Cryptid Hunters series. I was wondering when that will be released and where will I be able to get it. I’m reading that book for my author study it is so good so far I’m on page 23! Rowland Smith is my idol!!! !